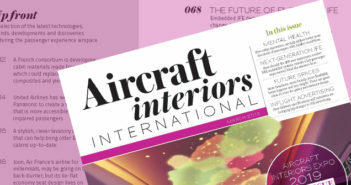 March 31, 2015 – Lumexis has announced that it will be launching an ultra-light, ultra low-cost in-seat IFE system at Aircraft Interiors Expo in Hamburg. Named iPAX, the wireless-streaming system is pitched at a price of US$1,495 per unit and 8.9 ounces per seat. 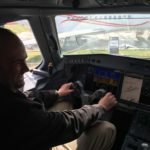 The claimed cost and weight of the system mean that even LCCs can offer passengers 1080p HD IFE, on which they can enjoy entertainment, a moving-map, food and beverage ordering, and catalog shopping, as well as a seatback safety briefing. Options for the system include a credit card reader and a 2.1A USB charging port, which can be installed within the monitor bezel. Lumexis will be launching the system at Stand 4C50 during Aircraft Interiors Expo (April 14-16 at Hamburg Messe in Germany). For more thoughts from Lumexis CEO Doug Cline and to see how the company has progressed since 2013, SEE HERE.